We are a family run professional carpet cleaning company. We’ve provided our services, experience and expertise in both domestic carpet cleaning and commercial carpet cleaning Stroud for 10 years. Also amongst our offered services are advanced stain treatment and stain protection. Commercial premises to which we offer our services include offices, hotels, restaurants, pubs, schools, retirement homes and local authority. Why not to use Destroy It Yourself Carpet Cleaning. How modern cleaning science can improve your life. Advanced stain treatment – what is it? The advantages of stain protection. The significance of training, qualifications and insurance. 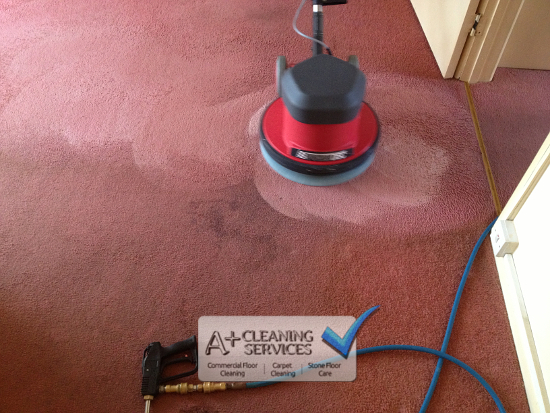 Professional Carpet Cleaning Stroud – A picture can speak a thousand words. 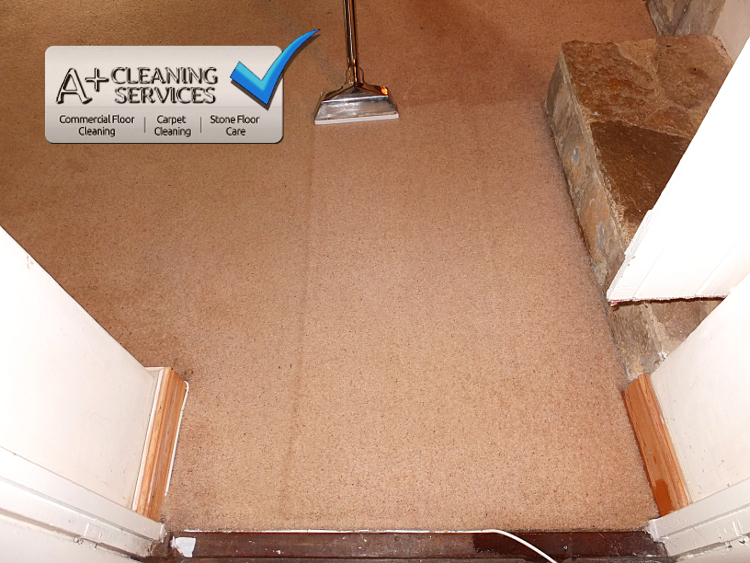 Here’s our carpet cleaning in action. ProfessionalCarpet Cleaning Stroud – And this is the finished piece. A massive improvement. There will always be a cheaper carpet cleaner. However, when price is the main deciding factor you run the risk of using someone inexperienced, unqualified and uninsured. The consequences could cost you your carpet, with no one to take responsibility for the damage. 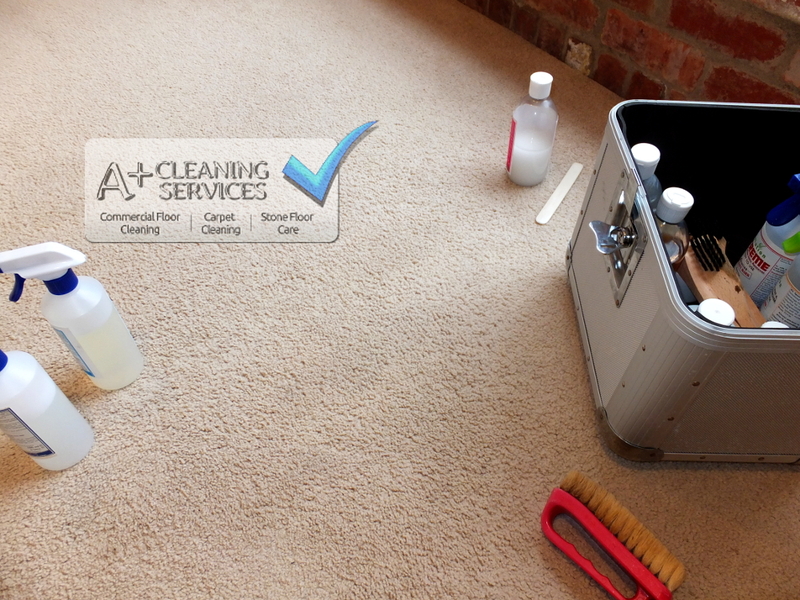 Naturally, you might say; “Of course you don’t recommend it, you’re a carpet cleaner!” We forgive you for thinking that but there are many reasons for our stance on this. The cleaning chemical used in hire machines is an outdated shampoo technology. It hasn’t changed since the 70’s. That’s over 40 years of scientific progression, essentially ignored. Shampoos are notoriously sticky and don’t really clean your carpet that well either. To successfully remove this shampoo, you need a powerful extraction machine. You need a massive volume of hot water. You need to be able to remove that massive volume of water. A hire machine can do none of this. As a consequence, your now sticky carpet will attract dirt like never before. Before long, you’ll re-hire the accursed machine again. And the cycle will continue. That’s enough negativity, because thankfully, the modern cleaning science available to us today is leaps and bounds ahead of shampoo technology. Our carpet cleaning solution of choice is colloidal and made from 100% plant based ingredients. We love it because colloids are unique. They’re good at breaking down soil, grease, odours, microbes and viruses, fleas, carpet moth and dust mites. Colloids are so versatile because it works by smashing into these offending molecules and organisms. The colloids will fragment on impact, into increasingly smaller particles. This characteristic is what allows a deeper clean than ever before. Colloids are also free rinsing, so having a sticky carpet is no longer possible. So you get a carpet that’s cleaner, softer, and fresher. Sometimes a stain just won’t remove, no matter how many different things you throw at it. Often it’s because it’s old, or maybe an ink based stain. Sometimes it can be from being cleaned with, you guessed it, DIY chemicals. Regardless, these stains exist and are unlikely to respond to typical cleaning methods. Advanced stain treatment, or “Plan B” as we like to call it, opens up possibilities previously unavailable. Many companies do not even know these techniques that we can offer you. 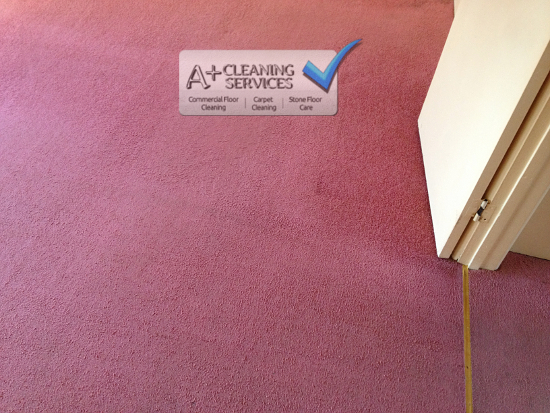 Carpet Cleaning Stroud – This woollen carpet really benefited from our colloidal solution. This difference makes it clear just how much. Carpet Cleaning Stroud – Because the colloids have broken down all the soiling, the extraction process is relatively quick and easy. Stain protection is often overlooked due to the belief it is overpriced or that it doesn’t work. If your carpet is getting on a bit, stain protection probably won’t be worth your while. However, a fairly new woollen carpet will benefit greatly from stain protection. 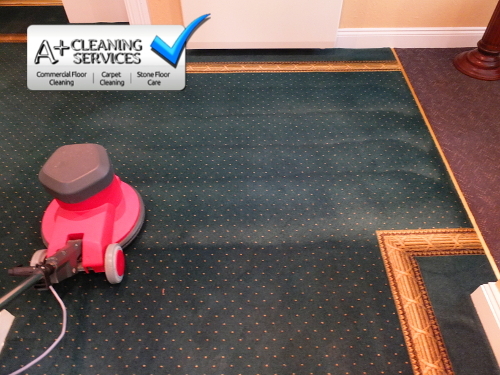 Your protector will shield the carpet from stains, spills, and general wear and tear. 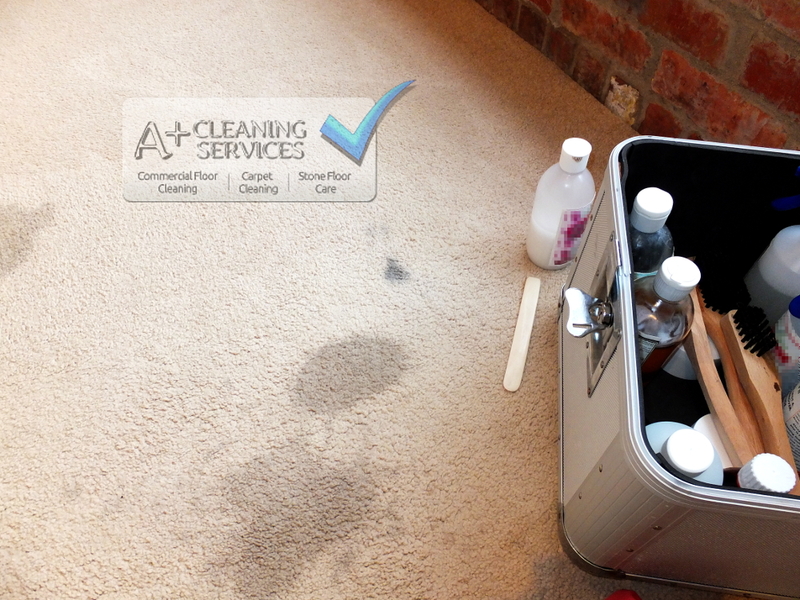 Another benefit of stain protection is that it actually makes the carpet cleaning more effective. So if you want to maintain your carpet completely over the years to come, stain protector is certainly worth thinking about. 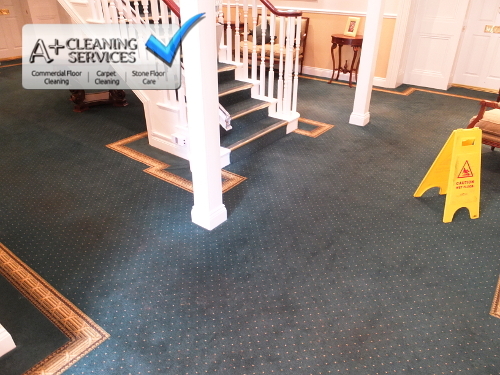 Carpet Cleaning Stroud – The large communal area of a retirement village near Stroud, before carpet cleaning. 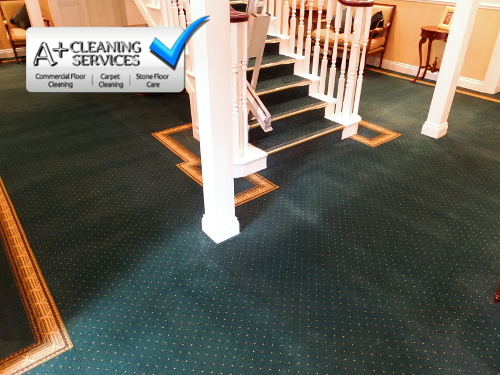 Carpet Cleaning Stroud – this photo shows a halfway shot of a carpet cleaning one of the entrances in the communal area in the retirement village. 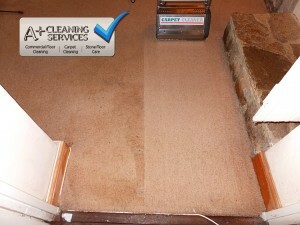 Carpet Cleaning Stroud – Another halfway carpet cleaning photo of the front entrance of the communal area. Carpet Cleaning Stroud – Here is the finished carpet, after successfully carpet cleaning the area. It is now clean and hygienic. The typical method for cleaning a commercial carpet is to use a low moisture system. It is relatively quick, quiet and economical. This allows for a fast turn around when cleaning out of business hours for your convenience. For commercial properties we give you a free survey in which we calculate the area to be cleaned, plus identify any potential problems. You will be given a quote based on all these factors. 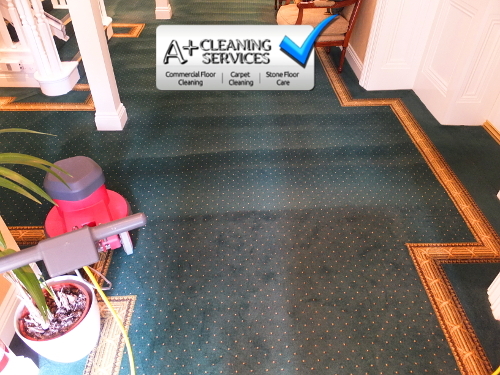 Want to see more professional carpet cleaning action? Take a look at our blog for more examples of professional carpet cleaning in Stroud and other surrounding areas. Here you’ll see us tackle both common and uncommon problems that you might also suffer from. Feel free to contact us for advice.